European Commission decides to allow terrestrial broadband operators to use a portion of C-band spectrum that had been exclusive for satellite operations. New Companies and Markets report “Global Fixed Satellite Service (FSS) Market 2014 – 2018” projects CAGR growth during the period of 5.48%. “Global Enterprise VSAT Market 2014-2018″ report at ReportsnReports projects CAGR growth of 10.49% by 2018. Euroconsult – 353 Earth observation satellites are expected to be launched over the next decade. Broadband now installed in more than 700 million homes worldwide. NSR Space and Satellite Regulatory Colloquium focused on emerging space law and regulatory issues facing the U.S. Administration and International governments will be held in Washington D.C. at the W Washington Hotel October 23. Myanmar Satellite Forum to be attended by a number of global satellite operators at Myanmar Event Part, Yangon on November 19, 2014. O3b and Galileo satellites swap places in Soyuz launch queue; with the next O3b launch to now be in mid-December. The commercial arrangement for NASA’s scheduled December 4 Orion EFT-1 launch requires both a commercial launch license and a commercial re-entry license from the Federal Aviation Administration. Space-launch tourism not blasting off as promised in Kazakhstan. Mitsubishi Heavy Industries and JAXA launch Himawari 8 weather satellite. 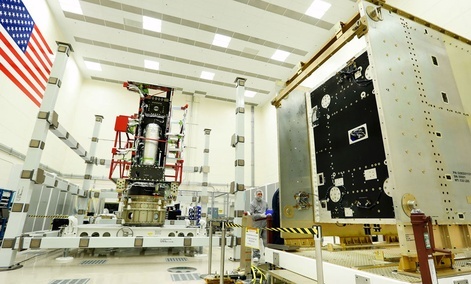 Frozen hydrazine lines blamed for August 25 Fregat launch anomaly that left two uninsured Galileo navigation satellites in unintended orbits. 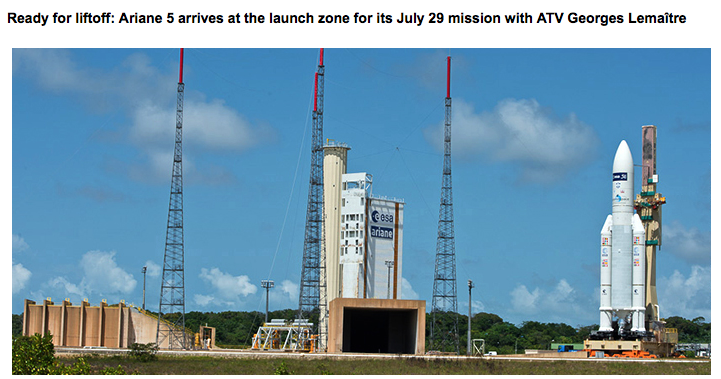 Ariane 5 scheduled to launch ArSat-1, Argentina’s first satellite, on October 15, 2014. 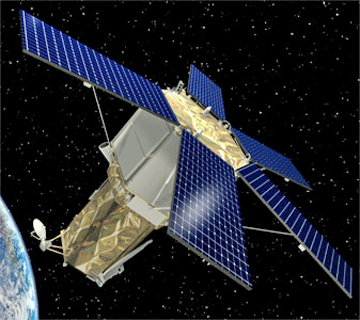 Space Based Infrared System payload delivered by Northrop Grumman to Lockheed Martin for SBIRS BEO-4, to be launched in 2016. Venezuela signs contract with China Great Wall Industry Corporation to build and launch its third satellite, earmarked for regional development. TRA hosts frequency coordination meeting for officials from UAE and Republic of Belarus to discuss techniques to resolve interference between their satellite networks. South Africa to commercialize its first indigenous micro satellite, using advanced remote sensing system based on hyperspectral imaging. MIT Microsystem’s Technology Laboratories develops dense arrays of microscopic cones that eject streams of ions, and could provide propulsion for nanosatellites. ViaSat tests 1 Mbps L-band terminal throughput over LightSquared satellite. Inmarsat’s L-band Tactical Satellite (L-TAC) service delivers a resilient Ultra High Frequency (UHF)-like tactical satellite capability to existing military and commercial radios used by the U.S. government. General Dynamics’ MUOS-Manpack PRC-155 radio connects U.S. Air Force aircraft to Operations Center via MUOS satellite system. U.S. ceases decades-long practice of jamming television and radio broadcasts from Cuba, a decision that will strengthen the U.S. position against intentional jamming by Iran, China, Ethiopia and elsewhere. Russian government keen to develop space infrastructure amid turbulent political backdrop. U.S. Air Force awards $26 million contract extension to Harris satellite-control support contract. Hughes Network Systems, LLC (HUGHES) has won the Ellersick Best Paper Award at MILCOM 2014 Conference for its Faster-Than-Nyquist (FTN) technology. Intelsat focuses on interference reduction in its next generation EpigNG High Throughput Satellites to provide advantages in its marketing to government entities. Northrop Grumman features three variants of protected low-cost terminals to protect nation’s warfighters and advance military satellite communications. Iridium complains to Indian government that state-run Gharat Sanchar Nigam Ltd. did not follow fair process in selecting Inmarsat as partner for establishing mobile satellite communications gateway. Zambian government ministry plans to link remote districts using satellite technology. Thales Canada completes trials for new system for Royal Canadian Navy. Rockwell Collins’ ARC-210 becomes first airborne radio to operate on MUOS satellite system. Inmarsat’s Global Xpress begins service for U.S. government customers. GVF certifies 21 militaries in Asia-Pacific area in use of satellite communications systems for disaster preparedness. Tesacom has won a contract for the provision of fixed and mobile satellite communications to government buildings and top officials in Peru. Intelsat General gets contract extension for delivering American Forces Radio and TV service. Inmarsat signs MOA with TECOM to manufacture Global Xpress aviation terminals for the government market. Signal interference proposal could make the ITU a watchdog with some teeth. FCC is trying to overhaul its existing satellite supervisory framework. Boeing completes testing of low profile aeronautical satellite antenna developed for Al Yah Satellite Company of the United Arab Emirates. Squire Tech Solutions updates website with extensive satellite product and service information to help customers and partners understand the complete range of satellite internet communication solutions. Vizocom partners with Eutelsat for Internet connectivity in Middle East and Africa. Satellite data shows surprising hot spot of potent global-warming methane gas over part of southwestern U.S.
Exelis and Airbus team up to streamline access to and use of geospatial imagery products from both companies. Earth observation satellite images used to compose animations of severe cyclone Hudhud, approaching India. Home improvement project at International Space Station will continue next year with addition of large, inflatable workroom from Bigelow Aerospace. Elite Communications selects Emerging Markets Communications as its satellite connectivity provider for existing oil and gas customers in North America and prospects worldwide. ViXS XCode 6400 High Efficiency Video Coding (HEVC) System on a Chip (SoC) to be used in Toshiba Ultra HD TV sets for Sky Perfect JSAT’s 4K broadcasts. International sports broadcaster Setanta Sports selects SES Astra 5B satellite to broadcast two HD sports channels to 13 countries in Central Asia. Russia to build space-based ballistic missile warning system. NASA resumes work on commercial crew contracts, ending delay during the ongoing contract protest. NASA IG says planetary science senior review process needs work. NASA examines adding a habitation module to the agency’s proposed Asteroid Redirect Mission. An analysis by a team of MIT students of the Mars One concept to send people to Mars on one-way missions to establish a settlement there offers a bleak picture of the outcome. Space X gears up a new Seattle-area office, heavily recruiting engineers from Microsoft and other companies in the region. “Home improvement” at the International Space Station to continue, with a large, inflatable workroom from Bigelow Aerospace to be added in 2015. Inmarsat issues LightSquared a Notice of Default for $17.5 million. Orange ramps up Africa satellite coverage with multi-year agreement for C-band capacity on EUTELSAT 3B. BringCom gets $1.1 million in orders for managed communications services including satellite circuit services in last 3 months. Globalstar strikes back against short-seller attack, with its CEO saying he stands by to add to his current investment in the company. Hedge fund manager claims Globalstar Inc’s business is worthless, and sends the company’s stock tumbling. GS Group plans to implement a satellite-broadcasting project in the Republic of the Union of Myanmar. Skyline Communications, provider of network management and OSS software for satellite and other telecom industries, is 1 of Belgium’s 50 fastest growing companies. Federal Communications Commission proposes to comprehensively revamp filing procedures to cut costs and complexity in licensing new satellite systems. A new market research publication announced by Reportstack, ‘Global Enterprise VSAT Market 2014-2018,’ projects market growth at CAGR of 10.49% for the period. New NSR report finds satellite operators driving efficiencies via HTS and acquisitions. Fixed Satellite Service (FSS) Market 2018: managed and wholesale services analyzed and forecasts in new research report at Sandlerresearch.org. The October issue of Satellite Executive Briefing Magazine includes “Change and Challenges Ahead in the Satellite Industry” by Elisabeth Tweedie, “Satellite Communications Networks and Cyber-Security” by Martin Jarrold, and “Case Study on Globalstar’s SPOT Lifesaving Rescues” by Virgil Labrador. SES TechCom has been given the prestigious Changing Lives Award at the VSAT 2014 conference in London for emergency.lu. Work Microwave addresses broadcast, satellite, and telco industry challenges at IBC 2014. Mitsubishi Electric to exhibit at CEATEC Japan 2014 October 7 to 11. Blue Sky Network to unveil new SATCOM solution at separate aviation industry events in October. Airbus announced to present at SMi’sGlobal MilSatCom 2014 conference and exhibition. The 15th International Exhibition of Telecommunications, Information Technology & Solutions (Iran Telecom 2014) is to be held in Tehran during October 6-9. Midterm elections could shape the U.S. launch debate. The Canadian satellite M3M will be launched by India instead of Russia, after long delays amid tension with Russia. Nanorack identifies root cause of ISS cubesat deployment failures. Returning Proton rocket faces challenges in the market. China successfully completes launch of experimental scientific satellite. Small satellite launch company Firefly Space Systems is moving from California to Cedar Park, Texas. Russian Proton places Russian military satellite into geostationary orbit in 1st launch since May failure. Swiss Space Systems meets with Russia’s JSC Kuznetsov to evaluate the NK-39 engines planned to power the unmanned suborbital shuttle SOAR SmallSat launch vehicle. U.S. restrictions on supplies to Russia lead to an increase in time of satellite construction of 8 or 10 months. Romania plans to have its own communications satellite. COM DEV gets $7.5 million contract from undisclosed customer to manufacture components for a High Throughput Satellite. Cubesat revolution and spotty compliance with debris rules fuel dangerous congestion in low earth orbit. Russian satellite communications operator hopes to triple capabilities of orbital group by 2020. India seeks outside help on High Throughput Satellite. Rockwell Collins ARC-210 radio becomes first airborne radio to operate over the U.S. government’s MUOS constellation. Orbit Communications Systems gets contract to upgrade ground station in Alaska for U.S.-based system integrator. SatixFy integrates IP cores for advanced satellite modem SoC using Sonics on-chip networks. Macom releases new set of surface mount S-Band GaN power amplifiers. M2M Connectivity announces the distribution of SkyWave terminals for the Inmarsat satellite network in Australia and New Zealand. France proceeding with planned electronic-intelligences satellite and next-generation military telecommunications satellite systems. Germany joins EDA’s program to pool and share purchases of commercial satellite bandwidth for military and government use. Canadian government contracts with Com Dev subsidiary exactEarth to extend the availability of AIS to the entire government. U.S. DoD effort launched in early 2013 to reform the way it buys commercial satellite communication bandwidth appears stalled, frustrating lawmakers. Army’s new Joint Incident Site Communication Capability’s (JISCC’s) Delta Package radio-bridging and voice cross-banding capability with satellite terminal supports National Guard/First Responder communications during emergencies. Lockheed to buy European-built satellite for South Korea as part of $7 billion deal to provide 40 F-35 fighter jets to South Korea. IDC receives US government contract for broadcast network equipment. One-day Space and Satellite Regulatory Colloquium to be focused on emerging space law and myriad regulatory issues facing global government administrations. AT&T commitment to bid $45 billion for 5 blocks of 20 MHz of spectrum dependent upon success of DirecTV acquisition. Satellite industry backs the importance of C-band in Africa, citing new research, and claims wireless industry efforts to claim spectrum would undercut African economies. Inmarsat sees an Air-to-Ground network serving as the centerpiece for its in-Flight Connectivity plans in high traffic areas. E-Networks of Guyana becomes first Latin American customer of O3b. Xplorenet ramps up satellite side of its business to cover all of Canada, and plans eventual broadband speed of 100 Mbps using HTS. SES and Swisscom will launch Astra Connect in Switzerland. YahSat intiates two-month promotional offer for satellite broadband through Yahclick in select African countries. Orbitcom to deliver Astra Connect service from SES in Germany. National Geographic, in partnership with Center for the Advancement of Science in Space, intends to develop new imagery from ISS for educational purposes. SkyVision VPN to connect Unity Bank branch offices in Africa. NSSLGlobal adds two new satellite beams to improve quality and geographical reach of its global VSAT network. M2M Connectivity to distribute SkyWave terminals for Inmarsat satellite network in Australia and New Zealand. MTN announces that the number of TBN –connected cruise ships has doubled and covered regions have tripled in the past year. Gilat successfully demonstrates maximum 4G handheld device performance over satellite at tier-one operator in Asia. Thomson Reuters, partnering with Avanti, Sematron, and BIPS, successfully broadcast the entire Oscar Pistorius trial in live HD. Pi Telecom’s partnership with SatLink expands into IP delivery . . . immediate TV everywhere . . . ready to launch managed service via the cloud within days. Sky Perfect JSAT to launch dedicated 4K Ultra-HD channels on March 1, 2015. NASA and ISRO of India sign two new documents for future joint missions in space. Thales Alenia says funding commitment for ExoMars is needed in December to complete the agreed-to funding package. Sierra Nevada Corp partners with Stratolaunch for Dream Chaser derivative, looking for commercial uses for the space vehicle. Why a refrigerator-sized spacecraft could be humanity’s best hope against solar storms. Eutelsat signs two satellite beams on Eutelsat 21B to Vizocom for its AfricAsia Satellite Services. Australian operator NewSat and partner ITC Global have tightened their partnership to focus on opportunities in the energy sector. Gilat Satcom provides additional satellite route between Africa and the United States. ITC Global announces another record quarter, with $100 million in new bookings year to date. Globalstar seeks to build up its presence in Southern Africa with new gateway station in Botswana for simplex services. Armada Group proposes acquisition of up to 45.95% of equity interest in China Satellite Mobile Communications Group. Airbus is divesting its commercial satcoms business, including its maritime satcoms division and subsidiary Marlink. Globecomm mentioned in Global Satellite Industry Campaign, with projects in Afghanistan and Caribbean highlighted. Russia is a stalwart of the satellite industry but, as a market, has seen challenges. Group claiming to be independent experts says the Australian Transport Safety Bureau (ATSB) should be searching further south in the Indian Ocean for missing Malaysian Airlines Flight MH370. World’s largest satellite fleet operators propose that global regulators not extend current radio spectrum allocations for air-to-ground communications links to satellite services. Global Fixed Satellite Service (FSS) research report at ReportsnReports.com projects the market to grow at 5.48% by 2018. Africa’s socio-economic development depends on satellite services delivered via C-band spectrum according to Euroconsult report. Technavio report forecasts the Global Mobile Satellite Services market to grow at a CAGR of 7.39% over the period 2013 to 2018. SMi Group’s 16th Annual Global MilSatCom conference and exhibition will occur from November 4th to 6th, 2014, in London. The power of the satellite communication and navigation technology industries is being celebrated in World Space Week in October. 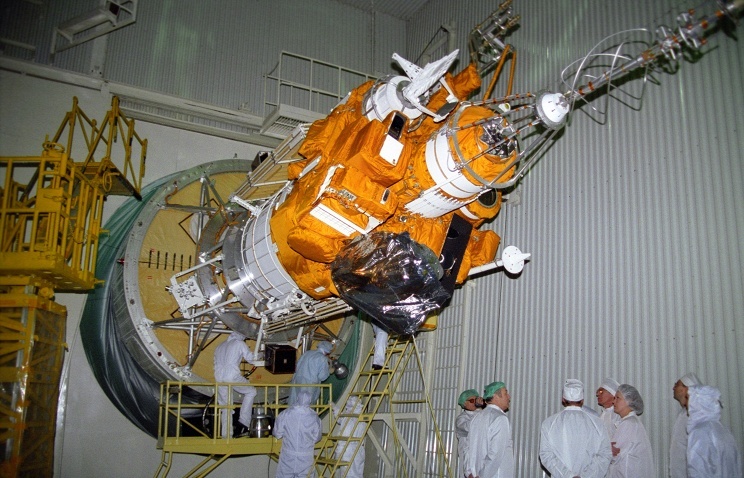 Khrunichev, Roscosmos prepare Proton for launch of Loutch SC built by ISS-Reshetnev. ESA’s Ariane 6 cost estimate rises with addition of new launch pad. ATK offers U.S. Air Force a solid rocket alternative to the Russian-built RD-180. Romania may have its own communications satellite in 3 – 4 years. 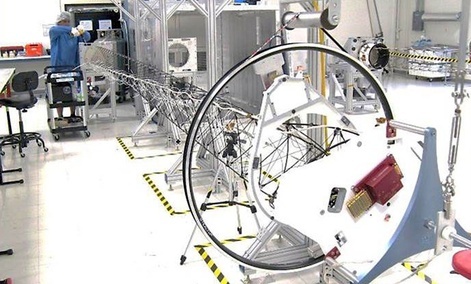 COM DEV wins contract to deliver multiplexer equipment, waveguide, coaxial switches and microwave components for construction of a High Throughput Satellite (HTS). Macdonald Dettwiler & Associates to build a Ka band data relay terminal flight model for use on the ESA Columbus module of the ISS. Azerbaijan’s blueprint for a domestic space industry includes global competition for optical satellite. 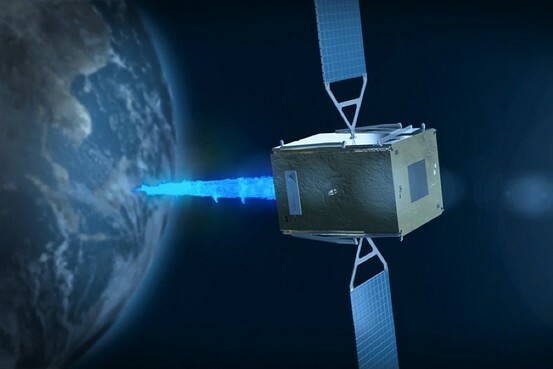 Laser Light Communications selects Ball Aerospace & Technologies Corp. to be prime contractor for the first global, all optical commercial satellite system. With negotiations to lease an orbital slot from an Intersputnik member nearly complete, Bangladesh plans to request bids for its Bangabandnu 1 satellite. Airbus sees greater promise in all-electric satellite sales, and expects fierce competition ahead. 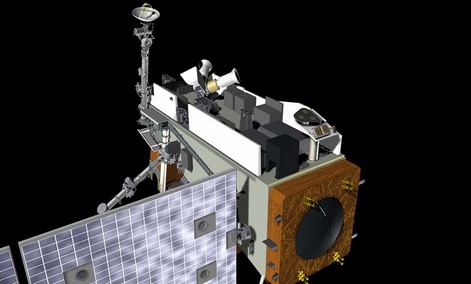 Boeing announced it is has received a new six-month contract to evaluate a scientific hosted payload named Tropospheric Emissions: Monitoring of Pollution (TEMPO). Iridium announces completion of extensive testing program for qualification of its new solar panel design for Iridium NEXT. MDA to build ground station for DigitalGlobe. Macom unveils new up-converter for 28 to 34 GHz. C-Com files patent application for a low cost phase shifter for in-motion Ka-band antennas. European broadcasters embrace revolutionary low-cost satellite flyaway system from ATCi. Comtech Telecommunications Corp. is awarded $6.7 million in orders for communications jamming High-Power Amplifier systems. Colombian government shelves its plans for a satellite due to insufficient funds. Comtech Telecommunications subsidiaries receive new or follow-on contracts for different satellite products which will support the military. Upgrade to iDirect Evolution helps Telefonica Peru win bid for telemedicine network. L-3 wins $23 million contract to provide satellite terminals and communications equipment to the U.S. Air Force. New UK company Spacepath Communications joins with Silicon Valley-based Tango Wave to market new range of high efficiency HPAs for global market. Canadian Space Agency grants MacDonald Dettwiler and Associates three projects to apply satellite data to national interest: tracking ships, geo-hazard monitoring, and logging and deforestation. First Canadian military satellite to keep watch on space junk – MDA – CBC News. The Canadian DND announced it will be sharing space data from a satellite launched last year to keep watch on space junk with defence departments in the U.S., U.K. and Australia. Russian Federal Space Agency presents President Vladimir Putin a draft resolution that would allow for public use of sub-meter satellite imagery. Honeywell Aerospace and Thales partner to create a joint In-Flight Connectivity service using Ka-band Global Xpress capacity. SES expands partnership with ORBITCOM to include delivery of Astra Connect for communities in Germany. 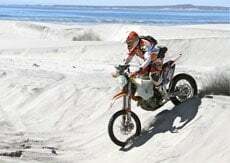 KVH brings Dish ‘Pay As You Go’ service to maritime. Increasing Oil & Gas activity in Papua New Guinea drives EMC’s expanding satellite communications service in the area. DirecTV is actively looking into supporting Ultra-HD content in 2014. NASA requests proposals for follow-on ISS cargo contract. 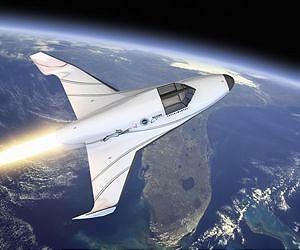 DARPA, industry study how to commercialize experimental spaceplane. UK joins list of U.S. allies agreeing to strengthen space surveillance sharing. FAA says safety report does not infer any intention to regulate human spaceflight, but is intended to support industry development of standards. After losing a NASA commercial crew competition, Sierra Nevada lays off its Dream Chaser staff. Long delayed award of the US Air Force’s Launch and Test Range System Integrated Support Contract now expected in October. 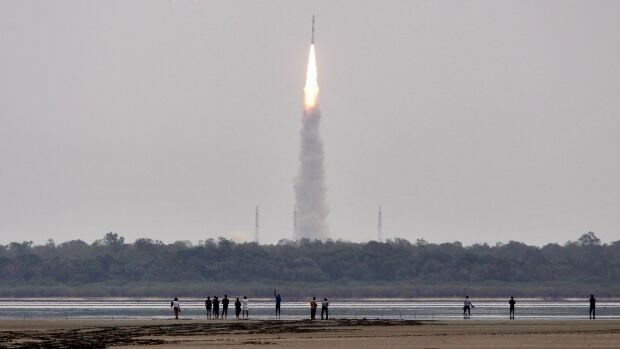 India triumphs in its first interplanetary mission, placing a satellite into orbit around Mars. 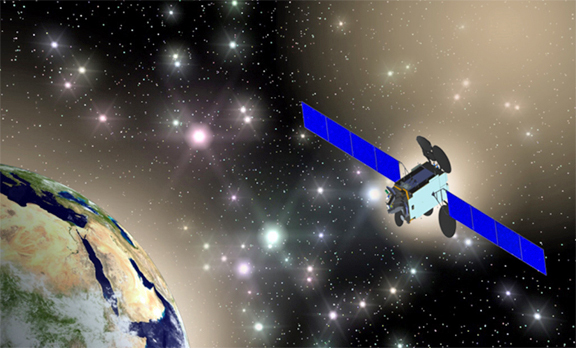 Gazprom Space Systems leases capacity on the Yamal 402 satellite to iSAT Africa. As U.S. sales soften, Inmarsat’s growth plan hinges on emerging markets. NSSLGlobal adds two new satellite beams to improve the quality and geographical reach of its global VSAT network. Cipriot company Kypros teams with Surrey Satellite Technology Ltd. of Britain to offer turnkey systems to small nations entering the market. DirecTV shareholders vote overwhelmingly to approve merger with AT&T. Applied Satellite Technology (AST), launched its new brand logo at its Annual European Customer Event. SatLink Communications expands its Asian coverage with a new PoP in Hong Kong. SES joins Clinton Global Initiative and unveils an electronic health, or e-health platform named SATMED. Devastating floods marooned everything in Kashmir, including the fibre-optic based and mobile telephone communication system, but officials from Indian Space Research Organisation (ISRO) ensured that the Valley was reconnected to the outside world for coordinating relief work. United Launch Alliance (ULA) has selected Jeff Bezos’ aerospace company Blue Origin to build the Blue Engine 4 (BE-4) to replace the Russian-built RD-180. New ReportnReports Global mobile satellite services report projects that market segment to grow at a CAGR of 7.39% to 2018. NSR sees mobile video as key satellite opportunity, with mobile subscriptions on track to outpace human population soon according to Ericsson. HTS revenues to overtake FSS in battleground applications per NSR’s Global Satellite Capacity Supply & Demand, 1th edition. iDirect white paper discusses how satellite operators, infrastructure providers and small cell manufacturers are working together to help mobile operators expand their reach. Next generation Ariane rocket expected to take priority over International Space Station as European space ministers meet in Zurich. ORS-4 launch, first flight of experimental low-cost launch system for small satellites and based in Hawaii, delayed to early next year. Atlas V launches from Cape Canaveral carrying the secretive CLIO satellite built by Lockheed-Martin. Lockheed Martin successfully mates large system and propulsion modules of NOAA’s GOES-R next-gen weather satellite. MDA to build satellite communications subsystem for ESA’s Columbus module on the international space station. 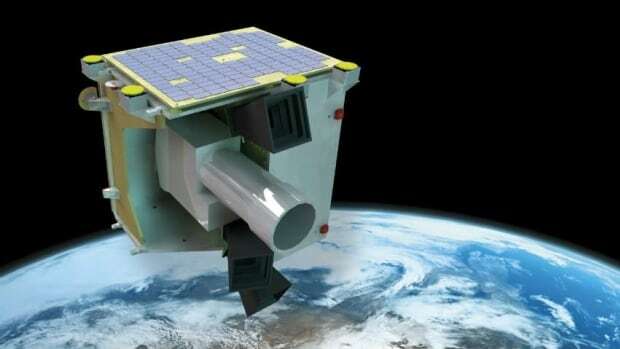 China Academy of Space Technology completes Final Design Review of the China-Brazil Earth Resources Satellite 4 (CBERS 4). Qatari Es’hail 2 satellite will include AMSAT-DL Phase 4 ameteur radion transponders. Orbital Sciences selected by Yahsat to build Al Yah 3 communications satellite. Brazil orders hybrid satellite from Thales Alenia Space. Japanese firm Mitsubishi selected to build new Qatar satellite. MDA subsidiary Space Systems/Loral wins contract to build Hispasat 1F satellite. FCC greenlights Iridium plan for deorbiting its 1st-generation constellation. All six of Orbcomm’s OG2 satellites enter commercial service. Israeli startup hopes to stop satellites from getting lost in space. Future SES satellites to focus heavily on in-flight connectivity. Paradigm Communictions and Skyware Technologies successfully complete factory acceptance testing of Global Xpress terminals. NBN of Australia nears completion of satellite ground station network. U.S. Air Force Space Command general excited but cautious on new ULA-Blue Origin partnership. U.S. Air Force selects Harris Corporation for hosted payload solutions contract. Using technology similar to that of average smarthones, the U.S. Navy’s MUOS satellites provide long-distance military communications to manpack terminals. United States Rep. Jim Bridenstine calls for the NOAA to make use of commercial weather data to mitigate risk from both pending and potential future weather data gaps. Fireball spotted over U.S. likely part of a Russian spy satellite. German satellite communications company Stellar has servers hacked by government security agencies according to Snowden leaked documents. DARPA wants to test satellite repair droids in orbit. U.N. body to discuss radio frequency spectrum for satellite tracking of airplanes. The Senate commerce committee releases a version of the satellite distant-signal reauthorization bill that eliminates the “Local Choice” proposal, and broadcasters appear to drop opposition. Globalstar, in collaboration with ADS-B Technologies, completes a four-day 7,000-mile flight test of a dual-link Automatic Dependent Surveillance-Broadcast (ADS-B) system. CPI provides novel quad-band radome to support successful flight demonstrations of ViaSat, Inc.’s first integrated Ku-band and Ka-band airborne satellite terminal. UK inflight entertainment solutions brand roKKi and Inmarsat launch first low-cost inflight connectivity service in the Asia-Pacific region. Virgin Atlantic to offer new Gogo satellite-Internet service as it becomes the first European customer for a new in-glight connectivity system being sold by Gogo. Gogo wins bidding to provide in-flight connectivity services for Vietnam Airlines, expected to be the first Gogo commercial airline to use Inmarsat’s Global Xpress Ka-band technology. Panasonic Avionics providing in-flight connectivity for Spain-based Air Europa. Hawaiian Airlines to be first commercial airline to install new Inmarsat communications system. VSAT provider OmniAccess has partnered with US antenna manufacturer Phasor to launch what they claim is the world’s first maritime Ku-band digital phased array antenna. GVF launches maritime satellite communications glossary of terms. MTN delivers yachts the first dual Ku/Ka-band ultra-high speed satellite solution to further enhance its powerful Maestro service. Global connectivity for smartphones and tablets is today a reality with the ITU to boost communication capacity and emergency communication solutions for small island developing states. Global connectivity for smartphones and tablets is today a reality with the worldwide launch of IsatHub from Inmarsat. Eutelsat and Cisco partner on cloud video via satellite. NASA’s Maven spacecraft enters Mars orbit. SpaceX breaks ground on Texas spaceport. Inmarsat is helping to extend global awareness of the international celebration of science and technology, World Space Week 2014. 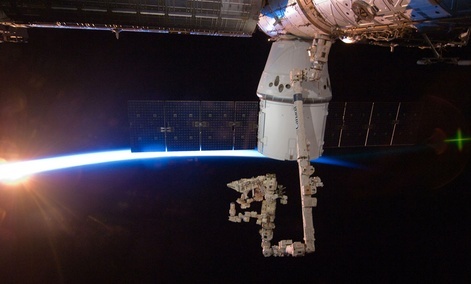 SpaceX supply load for space station includes first 3-D printer bound for orbit. NASA awards a $4.2 billion contract to Boeing and a $2.6 billion contract to SpaceX to build rockets and spacecraft capable of taking astronauts into orbit. Globecast, KTsat choose AsiaSat to broadcast the 2014 Asian Games. Telmex wins contract to provide satellite communications network to the country’s Health Secretary. Bentley Walker purchases capacity on Yamal 402 satellite to be used for services in Africa. 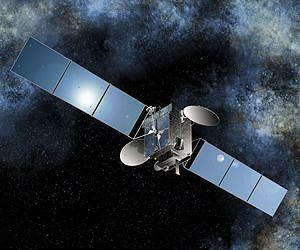 Eutelsat inks contract with Nilesat on Eutelsat 8 West B satellite. Onlime has entered an agreement with Gazprom Space Systems (GSS) for capacity on the upcoming Yamal 402 satellite. SES signs capacity deal for Astra 3B with EuroSkyPark. Aireon to offer satellite tracking free to help search for missing planes. Singtel extends Glopbal Xpress VAR relationship with Inmarsat. Inmarsat and Thales condlude GX Aviation reseller agreement. Thales Alenia steps up efforts to sell Earth-observation satellites abroad. ViaSat eyes urban markets, touts aviation broadband service. Globalstar makes satellite communications available to everyone throughout EMENA with the lowest-cost pre-paid service in the industry. Airbus Defence and Space to sell suite of assets including its commercial satellite communications services division. Apllied Satellite Technology joins the VT iDirect Distribution Program. Rockwell Collins Satellite Communications Systems, recently acquired by Atlanta-based private investment group, re-emerges as well-known Datapath brand. Ariane 5 ECA launches Optus 10 and MEASAT-3b satellites from French Guiana. HTS revenues to overtake FSS I battleground applications, with GEO-HTS revenues to grow from $250 million in 2013 and exceed $3.5 billion by 2023, per NSR report. Military Market Research Reports provides market forecast and analysis for the global military communications market up to 2019. Frost & Sullivan recognizes Advantech Wireless with 2014 North American Frost & Sullivan Award for New Product Innovation Leadership for new series of GaN-based SSPAs. Orbital Sciences CEO expresses disappointment in potential for hosted payload market during panel discussion at World Satellite Business Week in Paris. Euroconsult announces recipients of its 11th Annual Awards for Excellence in Satellite Communications at World Satellite Business Week in Paris. CEOs from the “Big Four” FSS operators engaged in a lively debate about the future of the satellite industry at Euroconsult’s World Satellite Business Week. Sky Perfect JSAT chooses SpaceX for JCSAT 16 launch. SpaceX Falcon 9 rocket lifts off successfully from Cape Canaveral with AsiaSat 6/Thaicom 7 aboard. Arianespace selected to launch Al Yah 3 satellite in fourth quarter of 2016; Arianespace claims to now hold 60% of the commercial launch market. Orbital Sciences to build Al Yah 3 communications satellite for Yahsat. Airbus Defence and Space will built EchoStar 105 with 24 C-band transponders known as SES 11 under agreement between SES and Echostar. Ball Aerospace selected by Laser Light Communications to be prime contractor for the first global, all-optical commercial satellite system. Boeing receives first order for 502 Phoenix small satellite from HySpecIQ of Washington, D.C.
Surrey Satellite Technology Limited (SSTL) and Kypros Satellites (Kyprosat) have teamed up to provide a turnkey telecommunications SmallSat for Geostationary Earth Orbit. Space Syustems/Loral selected to provide a communications satellite for Bulgaria Sat. Ghosts of satellite constellations from the past? Flurry of announcements and projects under the radar hitting fever pitch. Mitsubishi Electric Corporation gets a new contract to deliver the Es’hail 2 communications satellite to operator Qatar Satellite Company (Es’hailSat) in Doha. Bulgaria’s first satellite to be built by Loral and launched by SpaceX, with financing by the Export-Import Bank. NIGCOMSAT leases out DTH platform to PPTV. 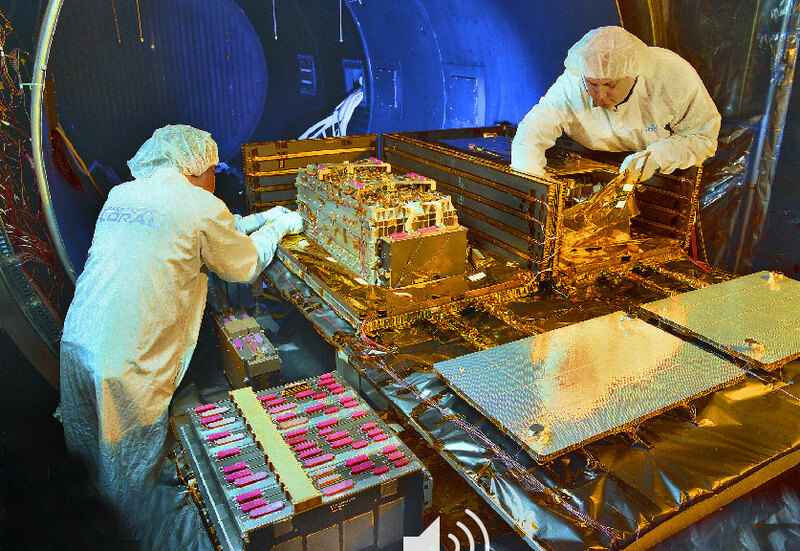 Lockheed Martin unveils reprogrammable A2100 satellite bus with dual launch capability. Kratos brings Big Data analysis to satellite operations for Es’hailSat to better manage service levels and optimize satellite operations. Avanti demos Google Glassware satellite application that optimizes Ka-band field site installation process at IBC. Cobham SATCOM launches latest innovation in EXPLORER satellite terminal range, with new, compact design and focus on wireless connectivity, at IBC 2014. MaxLinear to showcase 4K satellite Full-Spectrum Capture technology at IBC. C-COM mobile antenna receives Eutelsat type approval for NewsSpotter newsgathering service. Newtec first to deliver full DVB-S2X solution across entire product line, showcased at IBC. C-COM is exhibiting its next generation Eutelsat approved antennas at IBC in Amsterdam. Spacepath Communications, a new company behind family of high power outdoor amplifiers, debuts at IBC. Satellite earth station antenna options work to mitigate Ka-band losses due to weather effects. TeleCommunication Systems awarded $13.7 million to supply managed satellite services to the U.S. Marine Corps. Intelsat General extends contract with DRS Technologies to provide satellite capacity to forces in Afghanistan. SES is awarded contract to provide satellite capacity to support the Army Warfighter Information Network-Tactical (WIN-T). 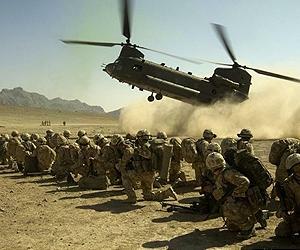 ViaSat and Data Link Solutions win multimillion dollar military contracts. Export-Import bank’s approval of $4.8 billion in satellite deals since 2002 – almost all of that in the last three years – complicates its fight for survival. ORBIT Communication Systems receives order to supply its comprehensive airborene satellite communications solution to a leading UAV manufacturer. Timor Telecom goes live on O3b Network’s “Fiber in the Sky” satellite network. SpeedCast selected by Jan De Nul Group for satellite communications for fleet of offshore & dredging vessels. CinecolorSat chooses satellite receiver equipment from International Datacasting to support expansion of their digital cinema distribution network across Latin America. Eutelsat, in partnership with MStar Semiconductor, Aston and Quadrille Ingénierie, are working together to validate push Video-On-Demand (VOD) using the Hybrid Broadcast Broadband TV (HbbTV) 2.0 standard. IDC ‘s TITAN 3 high definition contribution encoder selected for deployment in Latin America by Grimsat. Strong solar flare headed toward Earth but scientists say its worst effects will likely bypass the planet when it arrives this weekend. Understanding how objects in space spin and where centers of mass are crucial to potential space missions to clean up space debris. ViaSat settles claim against Loral Space & Communications. Amos 6 to broadcast Ukraine’s 1+1 Media’s entire network. Kacific signs agreement with International Telecommunication Union for development of satellite communications capacity and emergency communications solutions for the Pacific region. Hispasat signs new international teleports and expends broadcasting services over its orbital position at 30 degrees west. Inmarsat signs Rockwell Collins as Value Added Reseller for Global Xpress. Senior executives from space programs across the world discuss ambitious satellite projects in key emerging markets during Euroconsult’s World Satellite Business Week in Paris. Russian DTH operators are unsure about the prospects of satellite broadband in Russian, and are unlikely to get involved in the market. NSSLGlobal announces merger with the ESL group of companies, a satellite solution provider and system integrator. Malaysian Defence Ministry dismisses as “absolute gossip” reports that Malaysian Navy was secretly deployed to location close to Langkawi Island to retrieve Flight 370 debris and bodies. Re-entry of Intelsat SA and Eutelsat Communications SA into Iran as allowed by U.S authorities poses risk to the companies’ reputations. Reportbuyer.com adds two new market research reports on the African broadband market; “Africa – Internet and Fixed Broadband Market,” and “Africa – Mobile Broadband Market. Global satellite broadband in public safety market set to grow at CAGR of 8.45% until 2018, per Telecommunications Market Research report. Digital TV Research report predicts that one in five European TV homes will subscribe to online packages by 2020. NSR report projects slightly more than 40,000 in-service narrowband and broadband satellite units in the fishing market by 2023. New market research report on companiesandmarkets.com projects global fixed satellite service market to experience 5.4% CAGR growth from 2012 to 2016. ABI Research report projects installed base of active wireless connected devices will exceed 16 billion in 2014 and 40.9 billion by the end of 2020. The NAB and the SBE are getting together to conduct a satellite workshop Sept. 29–Oct. 2 at the NAB’s headquarters in Washington. SES promises Barizil that two orbital positions it won at auction in May will be filled with satellites within four and six years. Russian newspaper reports the failure of the Galileo satellites to reach intended orbit likely caused by software errors in the Fregat-MT rocket’s upper stage. SpaceX delays launch of Asiasat 6 following explosion of test rocket, to investigate any possible commonalities. Launch date for the U.S. government’s CLIO satellite, built by Lockheed Martin, has been set for September 16, 2014. European commission summons ESA, Arianespace for explanation of Galileo launch failure. SpaceX reusable Falcon 9 self-terminated during test mission. 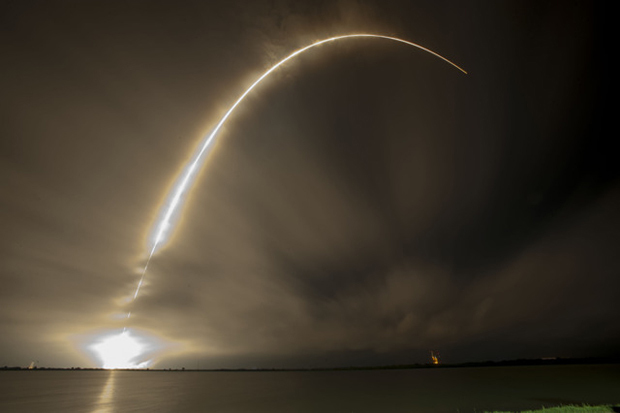 Galileo launch not so great after all – anomaly leaves uninsured satellites in flawed orbit. United Kingdom Space Agency’s first CubeSat mission, UKube1, is experiencing an anomaly with it primary communications link. 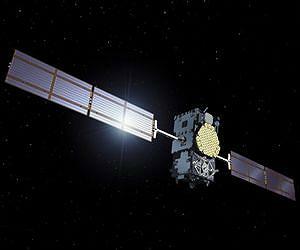 ESA seeks to make best use of Galileo satellites, placed in wrong orbit by Soyuz. ISS-Reshetnev finishes construction of Yamal 401 satellite for Gazprom. Italy commits more funds to second-generation radar satellites. Newsat gets conditional waiver to continue Jabiru-1 satellite construction, aver alleged breaches of financial facilities had halted funding of the project. Airbus conducts winter test of unmanned aerial vehicle Zephyr 7 ‘Psuedo-Satellite’ using satellite communications for control for first time. Brazil plans liquid rocket test at Alcantara launch center. 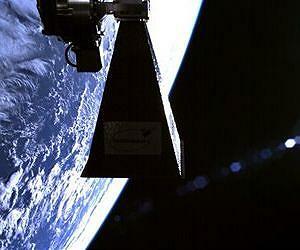 Space ‘tugboat’ answer for stranded satellites like Galileo? CPI Canada gets 3.3 million contract from Canadian Space Agency to develop Ka-band extended interaction klystron for SWOT satellite. Singapore engineering team successfully pilots the world’s first ZigBee wireless sensor network for satellite communications. Space News spotlights Busek Co. Inc., whose Hall effect thruster technology helped raise the orbit of the first AEHF military satellite after its liquid apogee engine failed. Vislink’s new ultralight Ku-band flyaway antenna based on successful Mantis-LT used in military spec MSAT terminal to be unveiled at IBC. Iridium announces successful upgrade of its System Control Segment and completion of its Launch and Early Operations control center for Iridium NEXT. ViaSat receives over 3000 orders for fixed site Machine to Machine (M2M) and airborned terminals for its upcoming L-band network. A quiet revolution is underway – carrier identification (CID) makes inroads in the satellite industry with goal of reducing and eliminating sources of interference. API Technologies introduces model LCFS-X configurable RF and microwave frequency synthesizers for SIGINT, EW, Satcom, and radar. Russian Defense Ministry decides to stop using the Rokot light rocket carrier from 2016 because of reliance on foreign parts, switching to the Soyuz and Angara carriers. Commerce Department inspector general blasts NOAA climate-satellite program and Raytheon contractor for ignoring thousands of major cyber vulnerabilities. 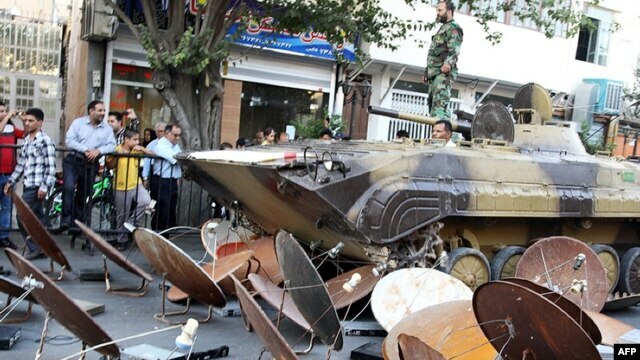 U.S. grants Intelsat, Eutelsat new waivers for Iran channels. Dish petitions FCC against proposed Comcast/Time Warner merger, calling it ‘eerily similar’ to Primestar, whose application for orbital slot was turned down. Qualcomm’s proposal to auction Ku-band spectrum for air-to-ground (ATG) connectivity for inflight Wi-Fi needs closer examination in light of Google WorldVu NGSO satellite network plans. Pan-Arab Space Agency: pipe dream or real possibility? Gogo signs Aeromexico as its first 2Ku Inflight Connectivity (IFC) customer. Bentley Walker is extending its coverage to Iraq using Newtec’s Ka-band VSAT broadband platform at Avanti’s new gateway in Cyprus. GlobaFone expands service offerings with rental program for Iridium GO! Personal Wi-Fi hotspot. DigitalGlobe unveils first WorldView 3 images. KCA Deutag expands contract with Signalhorn for maintenance of its satellite and terrestrial network in Oman. Ultra HD is coming to a screen near you – cinema uptake of 4K is proceeding rapidly, and satellite is playing its part. Fraunhofer researchers will be presenting latest hardware and software for high efficiency video encoding/decoding for 4K ultra HD at IBC. U.S. will extend its close debris-threat monitoring to two European polar-orbiting meteorological satellites. Major cost and schedule review concludes that debut of NASA’s Space Launch System heavy-lift rocket may be delayed by nearly a year. NASA approves extensions for seven missions that senior scientists vetted in the agency’s 2014 senior review of planetary missions. Lockheed Martin and Electro Optics Systems agree to build a space objet tracking facility in Western Australia using both lasers and optical systems. O3b signs multi-year agreement with Our Telekom of the Solomon Islands, for Internet backhaul services. Inmarsat receives $9.1 million dues from LightSquared, but notes significant uncertainty of any further payments from bankrupt company. Delta-V, a new space industry accelerator, hopes to create a $1billion commercial space industry in Australia. Comtech Telecommunications Corp is exploring strategic alternative, including a possible merger or sale of the company. Lockheed Martin completes acquisition of Astrotech Space Operations. Dubai-based RSA Logistics appointed as local hub to distribute equipment required for consumers to connect to YahClick Satellite Broadband internet service. Intelsat celebrates 50-year anniversary, and Via Satellite looks at some of the key moments in its history. 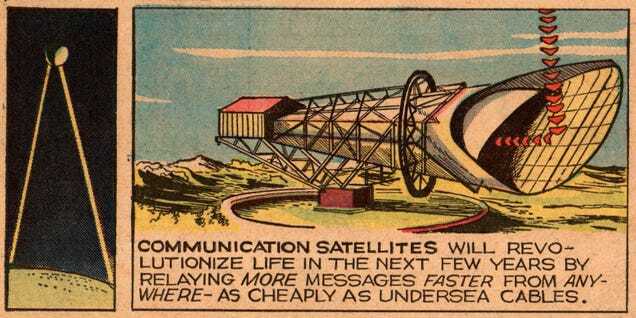 1960’s comic strips made amazing and prophetic predictions about life in a world with satellites. Mitsubishi Electric to donate 10 million yen to aid victims and support recovery efforts after destructive landslides in Hiroshima. C-COM antennas deployed in Japan landslide disaster. New TDG report finds 4K TV forecast overly optimistic, predicting that it will be a niche market for at least another five years, finally seeing widespread viewing in 2019 and growing quickly beyond. New Euroconsult report finds modest revenue growth for commercial FSS operators in 2013. High Throughput Satellites definitely have a role to play in consumer broadband, enterprise applications, and mobility – but will they face a zero-sum game in the energy market? New UK Satellite Telecommunications activities Market report finds rising demand for mobile internet access is encouraging expansion, with 5-year compound growth through 2014 of 5.8%, to Â£1.7 billion. Leading industry experts to meet at MilSatCom Latin America in Rio de Janeiro August 27, 28. The Satellite Interference Reduction Group (IRG) has announced that its next workshop will be hosted by Inmarsat at its London Headquarters from 21st – 22nd October. First operational Galileo GPS satellites integrated for Soyuz launch. 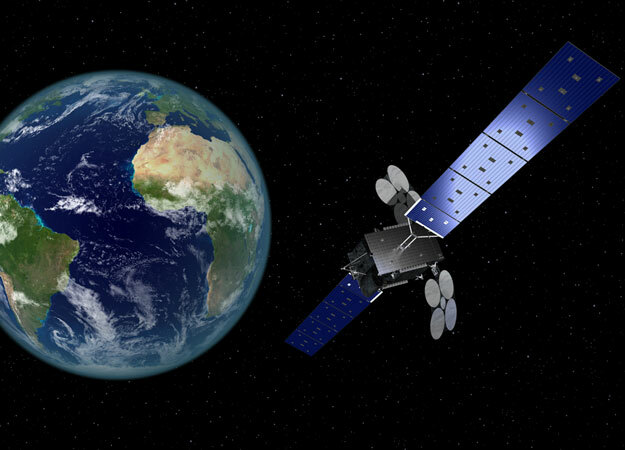 Return of Optus 10 to French Guiana sets stage for Sept launch of Optus 10 and co-passenger MEASAT-3b. ULA Atlas V successully launches DigitalGlobe WorldView-3 satellite out of Vandenberg AFB. 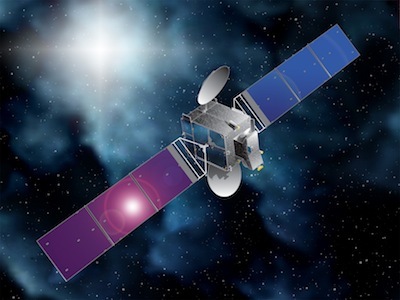 Orbital selected by Avanti Communications to build HYLAS 4 High-Throughput commercial Satellite. Johns Hopkins University Applied Physics Laboratory awards contact to Northrop Grumman for Scalable Space Inertial Reference Unit for NASA’s Solar Probe Plus satellite. RapidEye PCM combines BlackBridge’s RapidEye satellite imagery with MDA’s PCM technology to accelerate the comparison of images from different times and identifying lasting changes. NASA is exploring a wide range of propulsion technologies to enable cubesats to maneuver. MaxLinear’s new low-cost USB tuner-demodulator brings digital broadcast high-definition TV to consumers throughout Latin America. Luso Microwave announces a new family of modular C–band to KA-band antennas in a range of reflector sizes from 1.2m to 4.2m. NovelSat conducts successful trial of its “free bandwidth” product, NovelSat Freeband, at the Redo Novo Tempo de Comunicação broadcast center in Brazil. Russia is considering creating a new satellite system for transmitting secret military communications as it continues to beef up its defense capacities in a bid to re-emerge as a global military power. Next generation satellite communications system to see testing aboard Coast Guard Cutter Healy during Arctic Shield 2014. SSL and NanoRacks partnership for Hosted Payloads Solutions program one of most unique approaches to Air Force’s recently announced IDIQ contract. Newly confirmed U.S. Space Command Chief makes forceful case for adopting a new space architecture. Schriever Air Force Base 3 SOPS bids farewell to oldest DSCS satellite, shutting down the final components on July 30. General Dynamics successfully demonstrates the promise of the MUOS satellite communications system using PRC-155 Manpack radios in Phoenix, Arizona and Taunton, Massachussets. Kratos Defense & Security gets $$38.7 million SPAWARS contract to provide satellite communications, radio frequency and navigation systems support services. 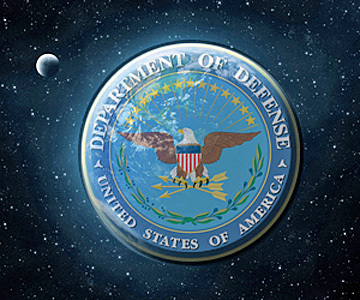 DoD signs situational awareness agreement with Space Data Association. Airbus Defense and Space awarded contract to provide services related to hosting U.S.A.F. communications systems onboard commercially operated satellites. Inmarsat gets approval to sell IsatPhones in Colombia. Cobham’s AVIATOR 200 SwiftBroadband solution has received Administración Nacional de Avianción Civil (ANAC) Brazil Supplemental Type Certificate (STC) approval for installation by King Air operators. Inmarsat announces first successful installation and ongoing trials of its ACARS1-capable SwiftBroadband Safety equipment on an Airbus A319. ViaSat Inc. to offer Exede(R) high-speed satellite internet plans that provide households in select locations across the country with virtually unlimited broadband data usage. Royal Caribbean cruise ships Allure of Seas and Quantum of the Seas to get high-speed Internet powered by O3b Networks. RigNet upgrades VSAT bandwidth of global offshore drilling customer in the Barents Sea to 8 Mbps. Astronauts aboard ISS release Cygnus supply ship, now full of trash for disposal, after month-long space station visit. XCOR Lynx spacecraft full scale model “Space Corvette” lands at Monterey Jet Center. Purdue Univ. student team designs, builds and tests critical part of new rocket engine as part of a NASA project to develop spacecraft technologies needed for cosmic venues. NASA’s OCO-2 satellite reaches operational orbit. Loral wins reversal of $283 million damages award – new trial on damages set for November – ViaSat seeks court order barring further patent infringement. Kacific signs multimillion-dollar agreement with Solomon Telekom Company for broadband services on the upcoming HTS Kacific 1. Azercosmos signs first TV channel, Afghan Paiwestoon Media Communication’s free-to-air Batur TV, for Azerspace 1 satellite. Optus will provide ITC Global with expanded satellite capacity, equipment hosting, up-linking and downloading services via its major satellite facility in Perth, Australia. Air Astana has selected SITA to assure its general and operational communications needs, including communications with partners and advanced datalinks for air traffic control. GenCom, the communications arm of Genco Energy Services (GES) signed an additional contract with SCS Networks to use iDirect technology for a private satellite network. ViaSat asks investors to focus on revenue and gross profit, and not raw subscriber numbers. Globalstar hopes half of its subscriber base will be made of non-North American customers by 2017. TCS selected to join O3b’s exclusive partner program. On this day in history – August 12, 1960 – NASA’s 1st successful communications satellite, Echo 1A, is launched from Cape Canaveral. Inmarsat-supported aid agency Télécoms Sans Frontières (TSF) has been required to leave an Iraqi camp as civil war develops. DigitalGlobe revenue up despite steep drop in Russian business. DigitalGlobe announces plans to accelerate the launch of WorldView-4 to mid-2016 to meet demand from its Direct Access and other commercial customers. MEASAT Satellite Systems gets an agreement with Pilipinas Global Network Limited for capacity on MEASAT-3 to distribute Aksyon TV International and Kapatid TV5 to over 120 countries. Euroconsult report projects that on average 115 satellites will be launched per year over the next decade, generating U.S. $248 billion in revenue. Congressional study states the U.S. National Reconnaissance Office is buying intelligence satellites faster than necessary and calls for a slowdown. NEC Corporation and the Mexican Space Agency have signed a Memorandum of Understanding for the development of advanced satellites. Eutelsat orders all-electric satellite, EUTELSAT 172B, from Airbus Defence and Space; pledges to investors that it will limit capital spending. MDA satellite exports feel the effect of Canada’s tough stance on Russia. Spaceflight Inc. to build 12 ground stations for new division, Spaceflight Inc., to provide satellite communications through a global network. NASA budgets around $130 million for seven-instrument science payload for the Mars 2020 rover. Geolink Satellite Services to deploy iDirect’s X7 remotes to improve speed and performance for customers in the oil and gas, mining and maritime industries. Eutelsat sees most important growth engine as broadcast, with potential for steady growth for many years to come, especially in the emerging markets. SES has moved the operations for 23 satellites — roughly half the company’s fleet — to a new Satellite Operations Center (SOC) in Princeton, N.J.
Airbus Group and Safran have selected a chief executive officer and outlined the board of directors for their new 50-50 joint European launch venture. DirecTV beats earnings estimates on demand for World Cup. SSTL subsidiary Surrey Satellite Technology US announced it is pursuing a second Orbital Test Bed (OTB) mission for 2016. New report by Media Partners Asia predicts that DTH numbers in Asia will reach 110 million by 2018, up from 56.3 million in 2013. SSL delivers AsiaSat 6 to Cape Canaveral launch base where it is to be launched next month by a SpaceX Falcon 9 rocket. China certifies Iridium satellite communications systems for installation on 737-700 and -800 aircraft. Spaceflight announces Spaceflight Networks to address need for cost-effective small-satellite data communications. 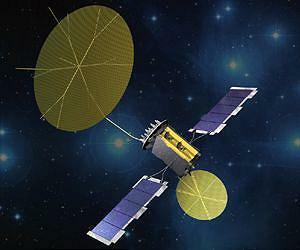 Lockheed Martin has awarded a contract to General Dynamics Advanced Information Systems to provide network communication systems for two more GPS III satellites. Iridium NEXT leverages Radisys’ T-series platform for its next generation ground station infrastructure. MultiChoice Africa purchases entire 15 Ku-band payload on Eutelsat’s upcoming satellite EUTELSAT 36C. Orbcomm purchases GES site in Brazil; service provider partner Mahd Telecom gets regulatory approval to provide Orbcomm services in Oman. Satellite Information Services selects Level 3 Video Cloud to help improve quality of online streamed and broadcast content. Planet Labs contracts with Telecommunications Systems to build global satellite-tracking network. Delta 4 launches space surveillance satellites for the U.S. Air Force. Thales UK planning to take lead role in creation of a new “mini” geostationary satellite bus. Rocket Lab announces Electron carbon-composite dedicated small satellite launch vehicle; first 30 launches have been booked. Boeing, in a first-of-its-kind arrangement for the company, is working with ViaSat to provide an integrated satellite service to a U.S. Government customer. GSA approves SES Government Solutions to sell O3b service to U.S. government. NBN Co appoints IPSTAR as wholesaler for Australian Internet service . Lockheed Martin approves DeLorme’s inReach satellite communicator for use in the company’s Adverse Condition Alerting Service and Surveillance-Enhanced Search and Rescue. NOAA satellite data stolen from contractor’s PC in 2013 but incident could not be investigated since employee would not turn over PC. Chief scientist for orbital debris with NASA’s orbital debris program office says cooperation between the U.S. and Russia is essential to reign in proliferation of space debris. Intelsat General and 13 other U.S. space companies will have an opportunity to bid on task orders designed to streamline the process of getting government capabilities into orbit (hosted payloads). The Society of Satellite Professionals International (SSPI) launches “How Satellites Make a Better World” infosite to catalogue enormous contributions of satellite technology to the world. 55th Strategic Communications Squadron receive DISA top award in recognition of excellence. Iridium announces broad availability of the world’s first truly global mobile satellite hotspot, Iridium GO!. Xplornet plans “unprecedented” expansion of high-speed Internet to all of rural Canada.